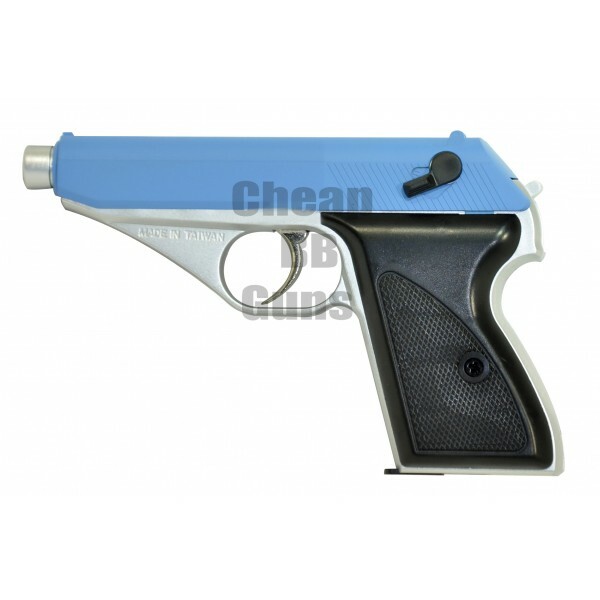 SRC Gas PPK Pistol 7.65mm (Silver and Blue) is a great pistol made famous by the ever green James Bond. The SRC Version is made from excellent ABS and weighs around 230 Grams. The PPK pistol is green gas powered with an overall length of 166mm.